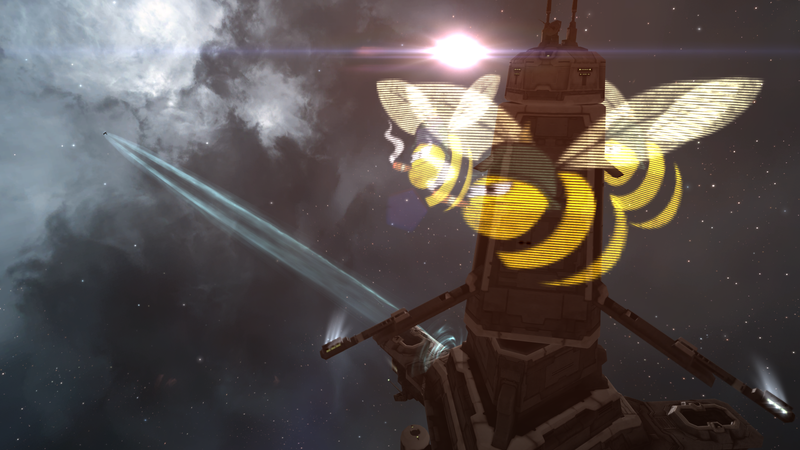 In my last article, I talked about the GSF withdrawal from then north, and their potential destinations, as well as the impact this would have on the political climate of both the MBC and nullsec as a whole. After doing that I was, perhaps rightfully, called out for having a negative tone. As it turns out, talking about an alliance’s potential future destinations and the challenges they will face often come with a frank assessment of their weaknesses and the needs of their organisation, which are often not too flattering. So, to compliment that, I will be going over what GSF did right in WWB, and the strengths they’ve acquired over the last six months or so of bitter fighting. As things stand, they managed to survive having their coalition bested in the field, a fall that has broken innumerable alliances in the past and rendered yet more in need of years of recuperation, and can now actively relocate and take a region. Given this is not an empty threat, it is a testament to how well they have ultimately handled themselves. As such, I decided to talk about some of the things that the GSF and Imperium did correctly during WWB, in the hopes that people not only understand what they did right, but are able to better emulate the successes of the organisation. GSF and its allies have always held the treatment of line members in high regard, from introducing what has to be one of the most robust and capable SRP programs, ensuring that they have a way to acquire enough ISK to achieve their in game goals, and making life as easy as possible for content creators (through PLEX for FC’s). And this is a position they have maintained throughout the affair. Their retreat to Saranen, whilst widely mocked at the time, ensured that the vast majority of players were able to extract their assets to near un-interdictable safety, before the war had even touched their main holdings. The continuation of constant skirmish fleets and taking larger fights wherever it was possible to win ensured that both FC’s and line members were not lead into discontent with leadership, with ‘Oppression Fleets’ offering what was felt as a real way to fight back to everyone who wanted to get serious about it. It’s also no coincidence that the first announcement that came after them publicly declaring that they would be leaving was the ‘Undergoon Railroad’, which has the stated aim of helping to extract their line members assets from hostile territory. GSF has, as best as possible, insulated their line members and content creators from the effects of their eviction as the events of WWB unfolded, which is why GSF is still the single biggest alliance in the game, and why its line members still trust and follow the guidance of their leadership (or, at least, do not openly disagree with them). This piece of narrative control is something the GSF has always found itself uniquely gifted at, but never before has it been challenged in such a way. It is to their credit that they have been able to – even externally – stop the buck of blame from being passed to any member alliance or individual within their coalition. Despite the fact that SMA leadership is almost singularly to blame for the inception of the war, and the showing of weaknesses that lead to the eventual mercantile dogpiling, never once did The Mittani or any other public figurehead come close to scalding them for their actions. Nor has any alliance been publicly singled out for being ‘sub-par’ at aiding in the defence. The overwhelming focus of the narrative has been on the lack of morality and honesty within their enemies, and the supposed hypocrisy of their narrative, memetic functions which have kept the blame for the coalition losing its space centred on external factors. This is something other alliances have failed spectacularly at in the past, by either over-demonising people who joined the enemy but are known by line members to be good people (-A-/SoCo’s collapse), or by blaming all non-head alliances for the overall failures of the coalition (BoB/IT). GSF have walked the fine line of making their enemies clear and despicable, but without going so overboard that their line members are being 1984-ed, and in doing so kept the main alliance together and on the same page to keep the momentum of the organisation intact. This is a point that I contend the leadership has done an excellent job in, and one that will immediately be attacked with quotes from various public figureheads of GSF, talking about how the war will be won, though in more eloquent displays of sophistry. The important thing to look at here is not the words spoken by leadership, but by the actions taken. They recognised immediately that any battle that escalated to the super capital level would – without clear and present DRF support – lead to the destruction of the supercap fleet of the Imperium, and with it the power of abusing Escalation Theory to dictate the ship types opponents could bring to smaller engagements. See how the greatest subcap clashes of the war (2DWM, M-O) took place in either cyno-jammed systems, or were done with minimal capital presence that would necessitate escalation to save committed assets on the Imperium side. Note how once the MBC began to form into the single biggest coalition the game has, and likely ever will see, they moved their coalition staging to Saranen. It is worth noting that I believe this is the reason for the ‘Hellwar’ rhetoric previously established, to test the resolve of the remaining MBC alliances to withstand continued assaults and engage in the Aegis sov equivalent of SBU spamming. When it turned out that this wasn’t going to be enough to dissuade the major forces, they began to look for routes out of the situation, to assuage the threat of their own pilots burning out after seeing no visible progress in the war, which lead to the Oregoon Trail manoeuvre. WWB was the first major, publicised war to be fought under the new paradigm of sov control. With that, the methods of fighting it were effectively unknown to the Skyteam, with their only experience being a faux-campaign against Providence, which taught them little about defending any sov and was as such effectively irrelevant during the war. So, they were effectively running the defensive war from no practical backing, outnumbered, and with doctrines that had been crafted specifically to compete with the forces of the Lowsec Voltron. To deal with this they cycled through several new doctrines, and whilst some of them might have been ill-conceived, if you dig a little deeper, they are all based on the need to provide something that can be pointed as a victory for them and their allies. Swordfleet was an attempt to abuse the nature of Interceptors to pick off isolated targets and deny the numerically superior opponent a meaningful engagement. 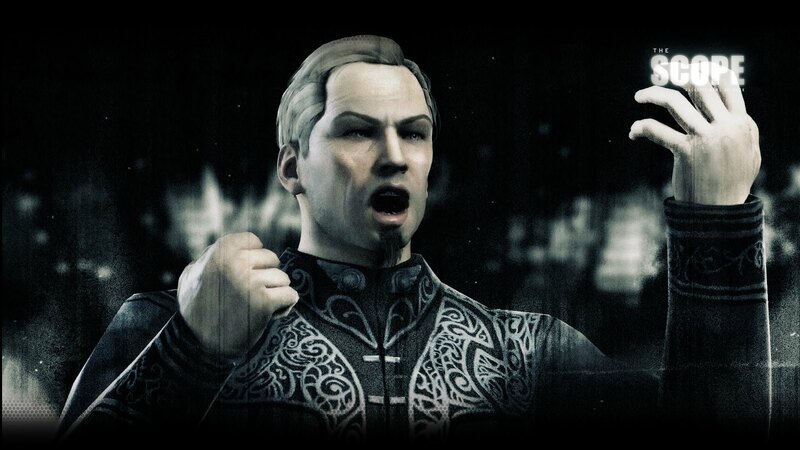 The re-rolling out of Baltec fleet was an attempt to re-rally into a strategic facing doctrine that would attempt to win the ISK war against the pirate BS focused doctrines, and then the move to Hurricanes as the default tactical doctrine cemented this mindset. The Siegefleets were an attempt to wreak havoc on the infrastructure of their enemies. Perma-MWD Caracals are a way to teach skirmish FC’s and deny ‘funfleets’ in the conflict by destroying frigates and destroyers. All of these are valid tactics, and whilst they are rooted in very classical Dominon thinking, they do signal the willingness to adapt to the situation. This will likely be one of their greatest assets going forwards, as they refine their MWD Tech 3, Naug & other, more heavy lifting compositions for their new conquests. GSF has been nothing if not deliberate in their timing of making both announcements and changes to their overall stratagem. This is veering into the realms of speculation, but I believe that the decision to leave now, when some gains had been made in Pure Blind already is not indicative of GSF leadership not ‘caring’ about the work done by the line members as some have suggested on Reddit. I believe it is a deliberate attempt to leave the north on a resurgent note, the momentum of which they can use to drive their line members to prosecute it. Combined with tactics that have been proven to be successful, and the last experiences with Aegis sov now being that of hard fought victories rather than bitter losses, this should aid them in bringing the huge well-formed fleets that GSF has been historically known for. The intent there would be to snowball said momentum as some parts of the MBC fracture off to come and aid those defending the target region, and grind them down in piecemeal, separating the diehard anti-Goon elements from the mercantile opportunists of the bunch. These points all speak to the strong core leadership in GSF. It may have made some blunders, but the minds that drove the CFC and Imperium to its heady heights are still mostly there, with only a few (albeit well known) departures from this core. This is why, when I described the Imperium as ‘functionally dead’ in my last article, there was no hint of me tying that to GSF itself. They are still easily in the top three strongest alliances in the game, and whilst they may have lost WWB their next, great conflict has only just begun – The War of Goonish Survival. And, contrary to popular opinion, I think they might just win this one.